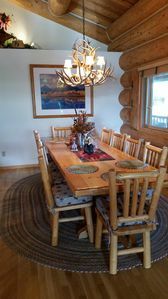 Comfy, Rustic Log Cabin - Montana Experience, peace and quiet, fishing near by. 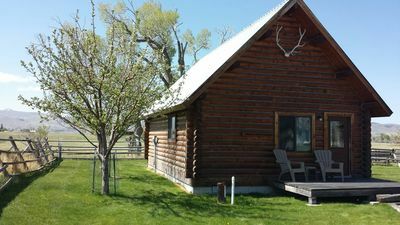 The Little Log Cabin is located south of Poindexter Slough, off the Beaverhead River, 5 miles south of Dillon Montana. 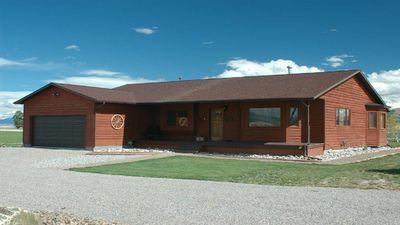 Located at the foot of the Blacktail and Pioneer Mountain ranges. 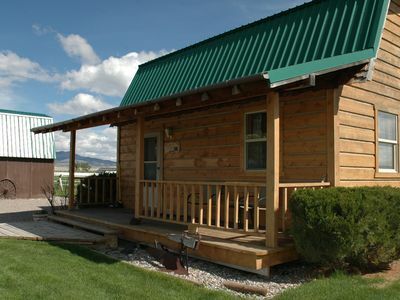 2 queen beds in this Log Cabin. 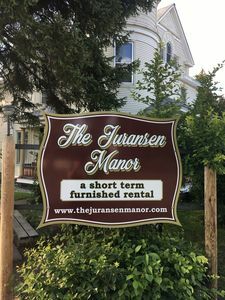 Great for 2 couples. or two adults. 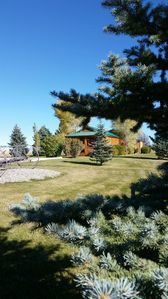 The Beaverhead River flows just west of this cute little log cabin. You can access the public fishing areas just a mile down the road and get to the Poindexter Slough, or the river. 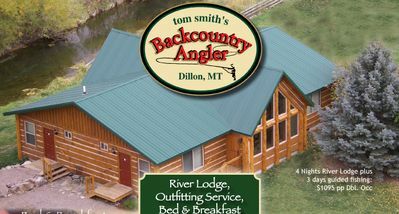 Within an hour or so, you can also be on any of 4 blue ribbon trout rivers in this great SW region of Montana. 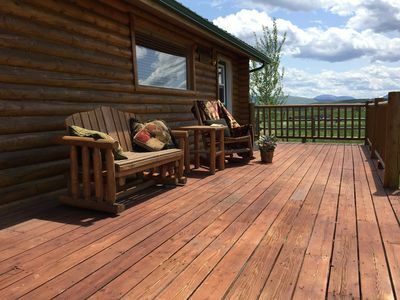 Tons of other activities await you from this homey spot to lay your head at night. 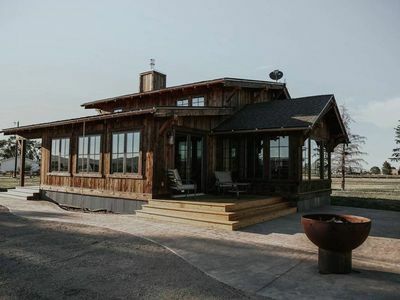 The 800-square-foot cabin, is a story and a half, including a loft. 1 queen bed downstairs, 1 queen bed up in loft. Great for 2 couples. Only 2 beds. Entry through the front door brings you into a combined living room with comfy recliner and sofa, dining area and fully equipped kitchen. 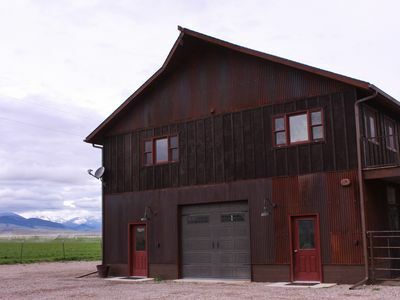 Large windows across the west side of this room allow a view of the mountains, pasture and the rugged mountains of the Blacktail Range. Deer and other wildlife are often spotted in the pasture. 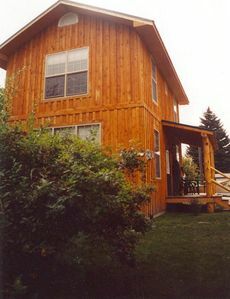 The rest of the ground floor is occupied by master bedroom, equipped with new, comfy queen bed, and a bathroom. The loft has another queen bed. 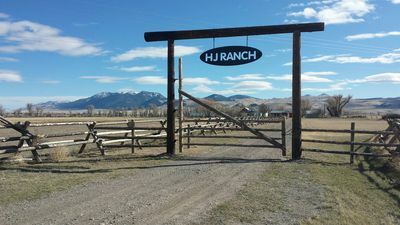 There are a variety of activities available near the ranch to cabin guests. 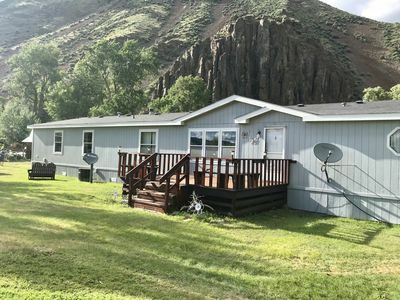 Guests can fish close by, go hiking the thousands of miles of trails just up in the Pioneers, go experience Bannack Ghost Town, dig your own crystals at Crystal Park, enjoy Virginia City within a short drive too. Experience one of the old time candy shops, or a real malt at the soda fountain shoppe. 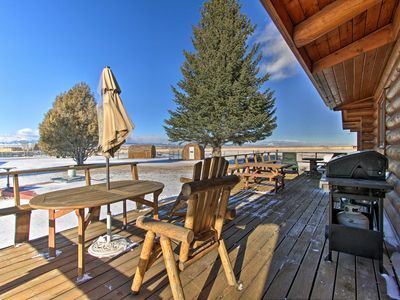 There are vast views just from the yard of the cabin as well, to enjoy and grill a burger or steak on your gas grill. For those more adventurous, the mountain lakes in the Pioneers also offer excellent day hikes, up to Boot, or Pear lake above Birch Creek station. Bring along your fishing rod to catch the plump Rainbow and cutthroat trout that inhabit the lakes, and bring your camera to capture the spectacular mountain views, including many wildlife opportunities, such as moose and mountain goats. 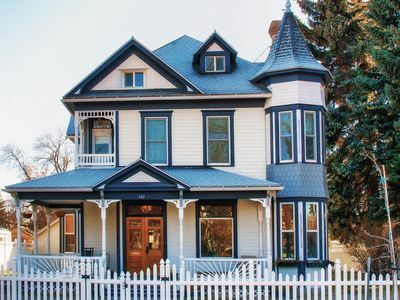 For those interested in what's available in town, Dillon is 5 minutes away, and home to the Patagonia Outlet, many neat shops from custom boots to antiques and some great gift and coffee shops to enjoy. A new local Micro brewery is also just in town. With your full kitchen, you can cook your own meals if desired and grocery stores are just a few minutes away. 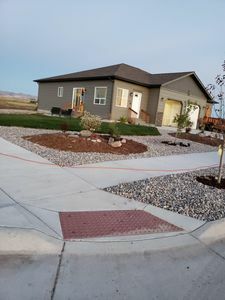 Dillon is also home to University of Montana, Western with a great campus and several opportunities with the outreach programs to experience some geological classes, etc. 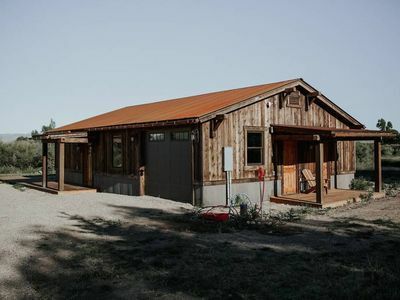 If you are interested in a quiet setting in the foothills of the mountains, a place where 'do it yourself' can be as relaxing or demanding as you make it, in the comfort of a lovely cabin with great views, then this is the place for you. 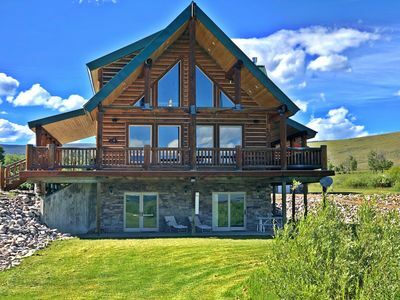 Private, Clean, Luxury 3 bd, Beaverhead River, Amazing Views, Excellent Value! 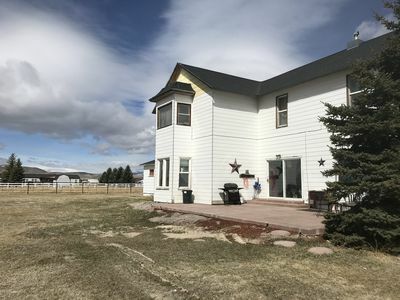 3 Bedroom, 2 Bath with Mountain Views. Great Fishing, Hunting, Relaxing, More! 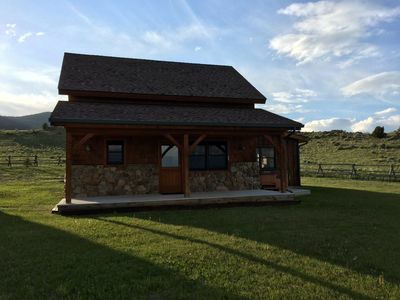 AWESOME Value, Clean cozy & quiet cabin, close to Beaverhead River, Great Views! 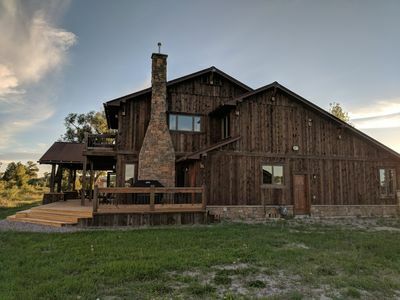 Dillon Log Home w/Hot Tub- By Beaverhead & Hiking!